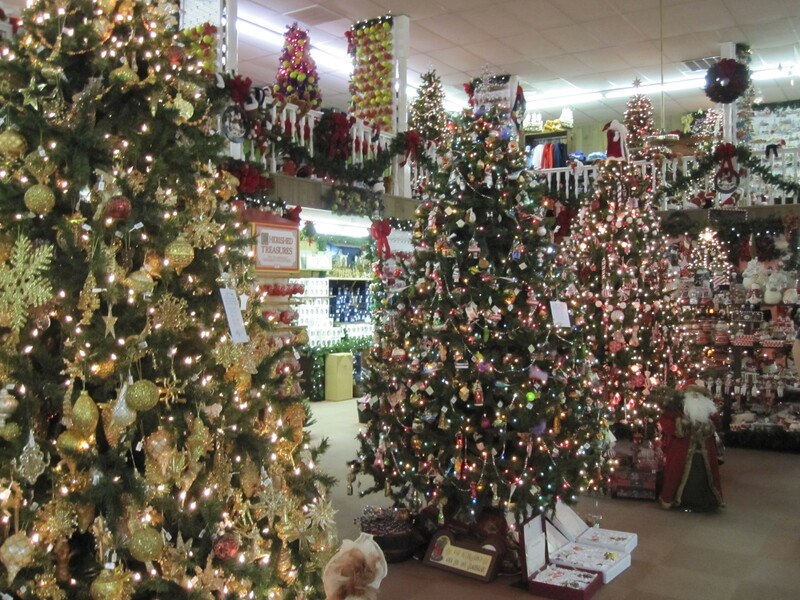 Williamsburg is a three-and-1/2 hour drive from the Washington, DC area — and 95 South is never any fun until you pass Fredericksburg — but it may be worth a visit for you if you are in the mood to mix holiday shopping with historic sightseeing. 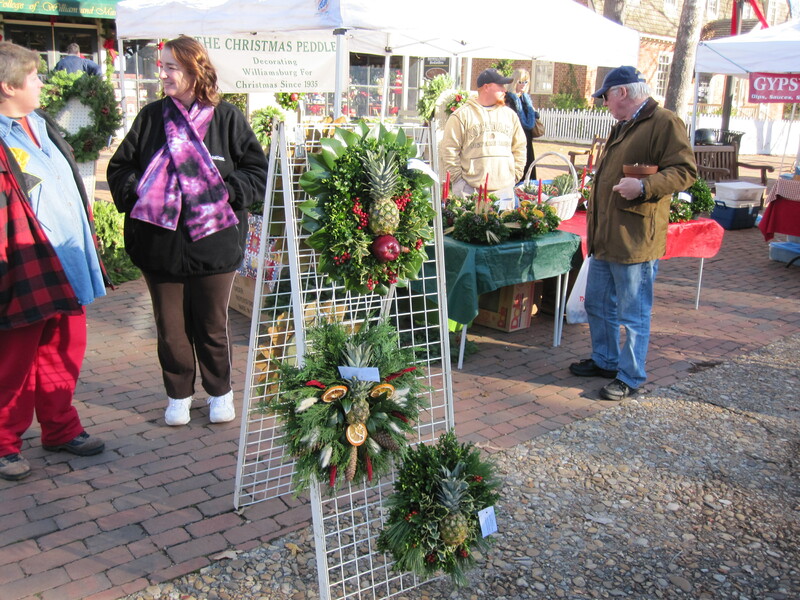 I just spent the Thanksgiving holiday with my mom in Colonial Williamsburg and Jamestown and we discovered lots of treasures in the local shops, in addition to wonderful dining and sightseeing. Best of all, everyone was amazingly friendly to us. 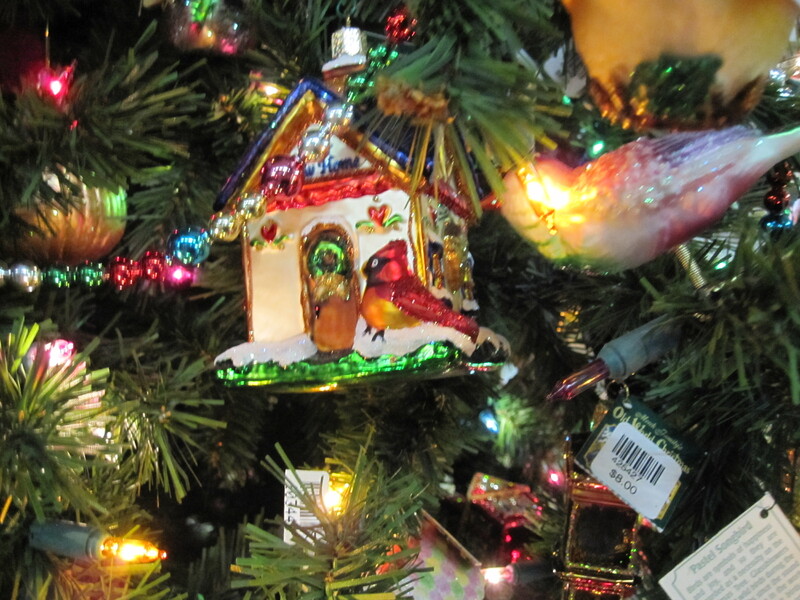 On Thanksgiving night, The Christmas Mouse was open and we explored two floors of decorated trees and walls of ornaments. 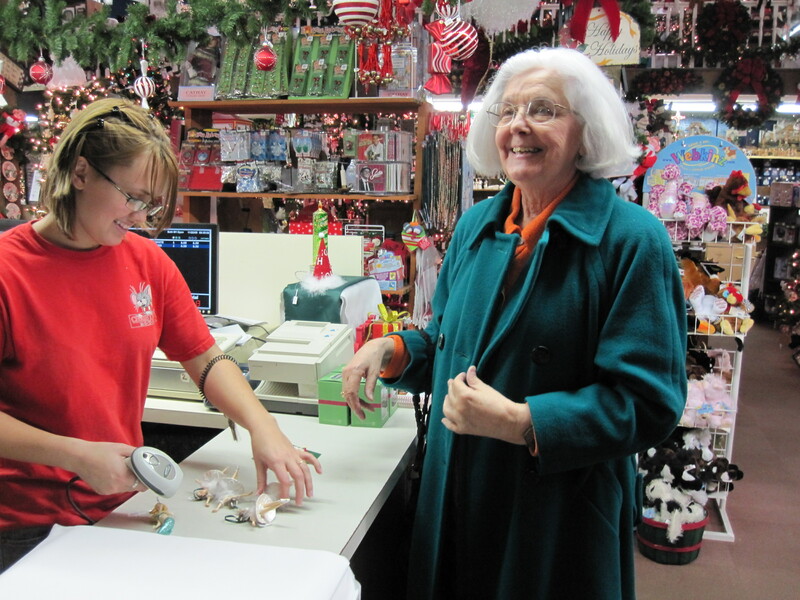 The prices were reasonable, and the staff was helpful. Some ladies were visiting from Canada (where the dollar is stronger) and were buying out the store. I found a sparkly green sea horse ornament for my tree, and mom took home a bevy of ballerina ornaments for her ballet buddies. 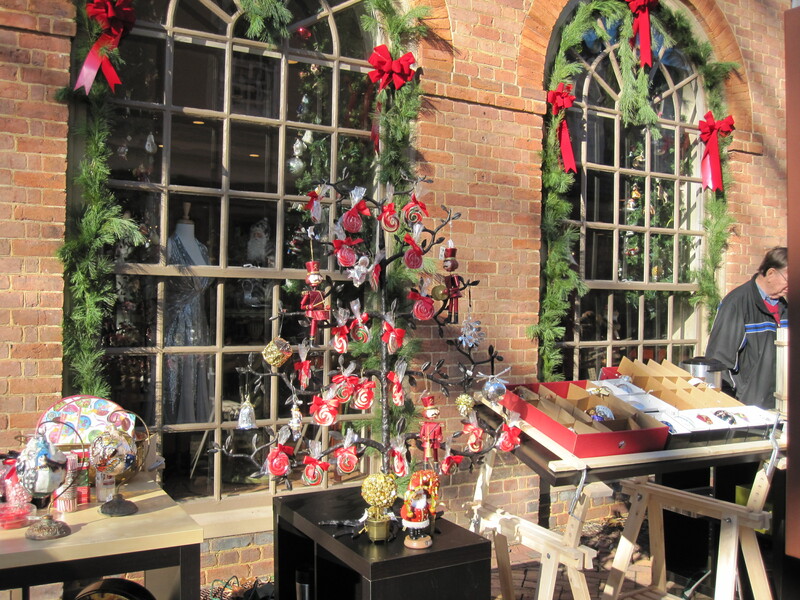 There is all kinds of great shopping in the Colonial Williamsburg area. 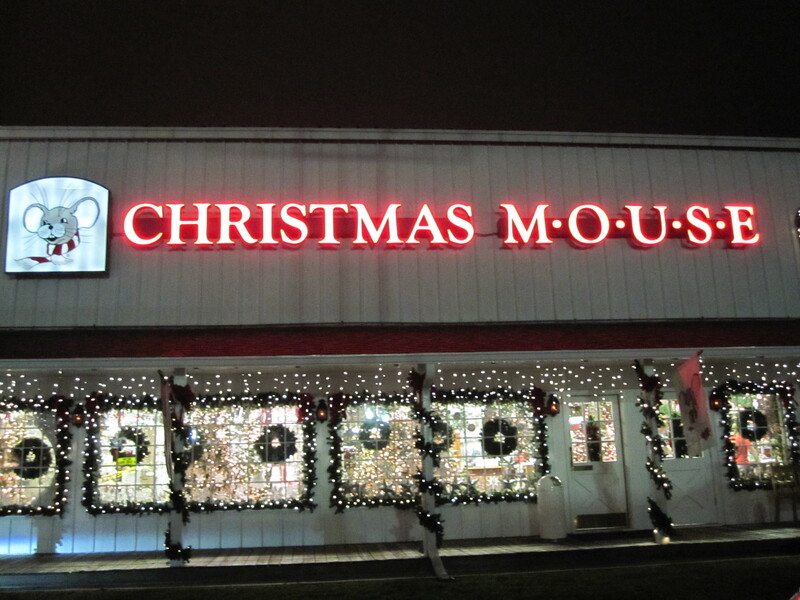 One of the best Christmas music compilation CDs I have seen is available at Everything Williamsburg for $14.95. I also liked their seasonal soap set ($12 for a set, $2 for each small bar) in scents like orange and clove, fig pudding, and pomegranate. 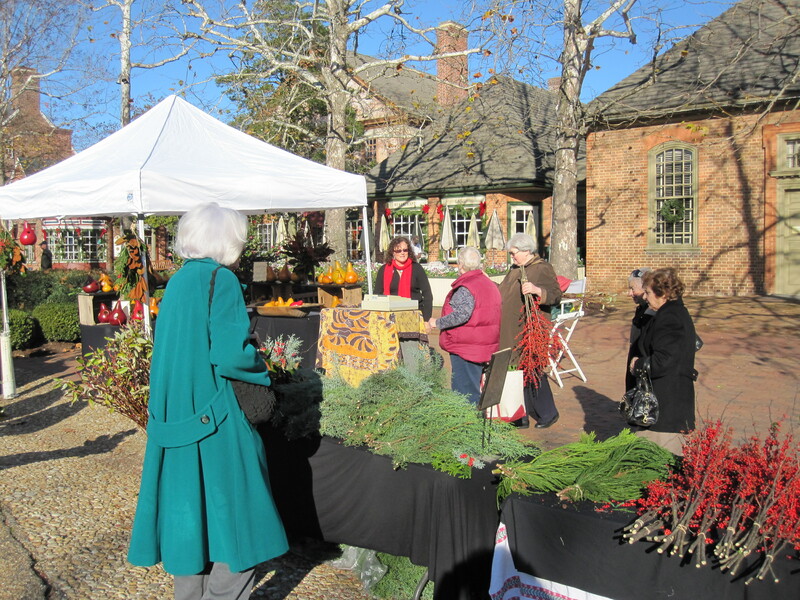 Check out the outdoor farmer’s market on Saturday morning in Merchant’s Square (adjacent to the historic section of Colonial Williamsburg). 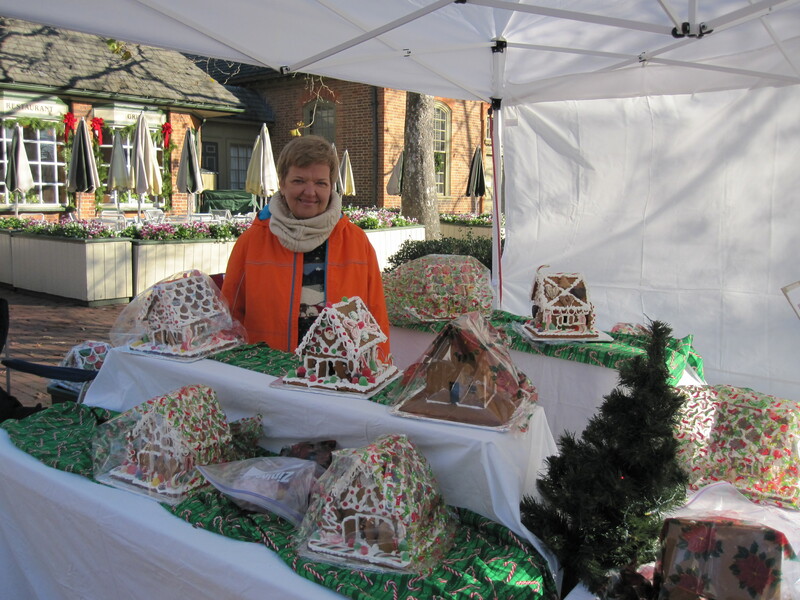 Vendors offered everything fro holiday greenery, fresh goat cheese, Greek pastries, honey products, and handmade gingerbread houses. 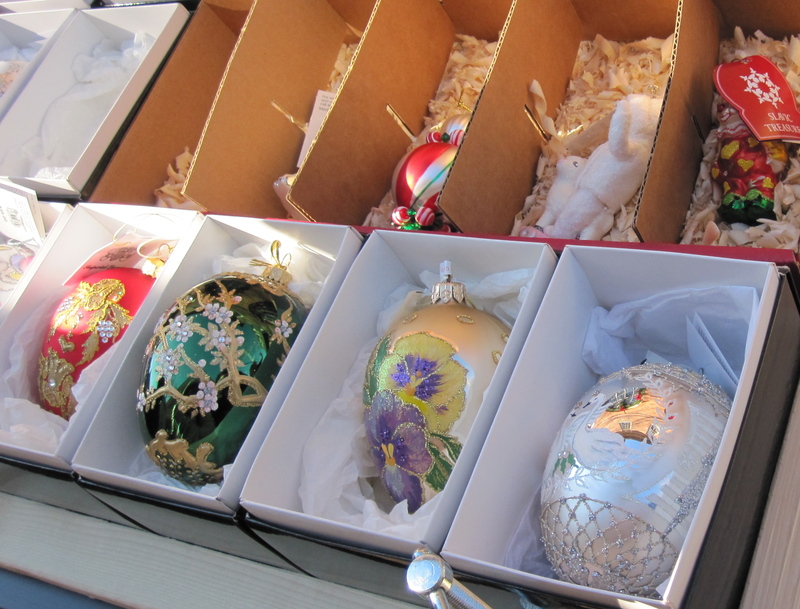 Binns of Williamsburg, a local fashion boutique, presented a beautiful selection of gifts at their outdoor display at the open-air market, including Faberge-style Christmas ornaments (about $36 each), wooden German pyramids (the kind that are candle-powered), and Christmas candies. 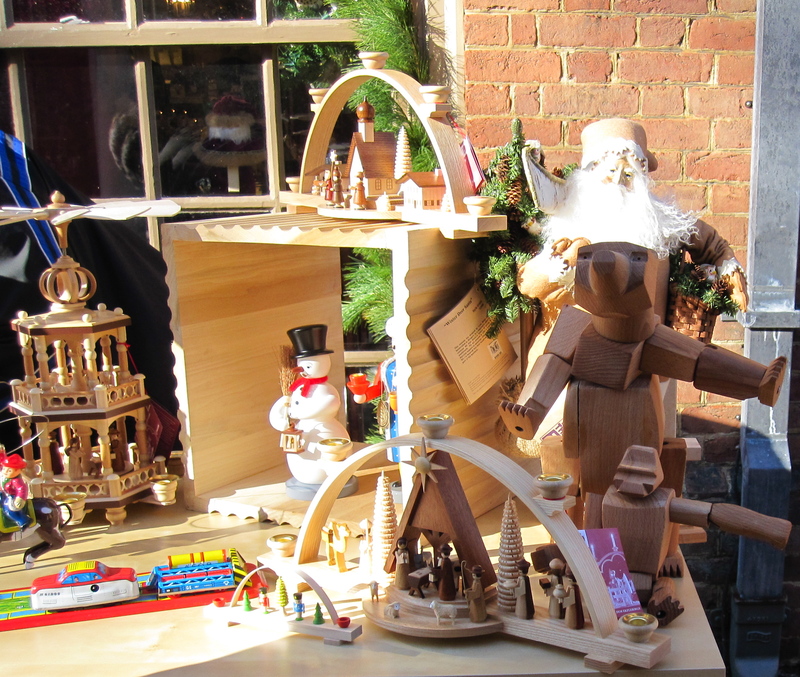 The display reminded me of a Christkindl Market from Germany. If you go, try to catch one of the free, street performances of “A Christmas Carol” presented by two gentlemen from Virginia Theater Machine. It’s only 17 minutes long and it’s hilarious!